After the loss of a tooth, finding a stable replacement is of the utmost importance. A single missing tooth can be replaced with an implant crown in La Plata, MD. 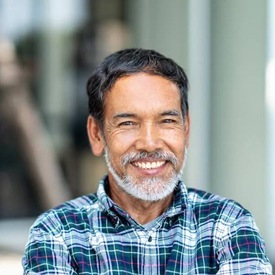 Implant dentistry brings back strength and stability while promoting oral and overall health -- keep reading to learn more about how it works and what you can expect from this solution. We look forward to helping you enjoy all the benefits of a comprehensive tooth replacement! The side effects of tooth loss are significant and can range from difficulty eating and speaking to experiencing even more missing teeth later on. When you have lost a tooth, you are also missing the supportive root structure -- or the part which brings important nutrients and blood flow to the jaw bone. Over time, the tissue will reabsorb due to disuse. This causes the remaining natural teeth to lose their sturdy foundation, which will eventually result in them falling out as well. That’s why, even when only one tooth has been lost, replacing it with a dental implant (for eligible candidates) is of the utmost importance. A single tooth implant is a standalone comprehensive replacement option which does not alter the natural teeth surrounding the gap left by the missing tooth. A tiny titanium post (the dental implant) can take the place of the tooth’s root. After the post has fused together with the jaw, it will be exposed once more and a connecting abutment placed on top. A natural-looking crown made from biocompatible materials will be affixed to the abutment to restore the dental implant and renew your ability to eat, speak, and smile with confidence once more. 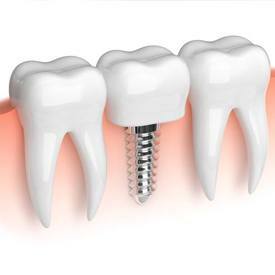 Many adults who have lost a single tooth are indeed eligible for replacement with an implant crown. You should be in good oral and overall health in order to successfully undergo an implant procedure. If the tooth has been missing for a while or if you have had gum disease, you may need to undergo a bone graft or sinus lift first. Smoking or tobacco use can increase the risk of implant failure, so patients are advised to quit the habit or to dramatically reduce tobacco intake before getting dental implants. The only way to find out for sure if you can benefit from an implant crown to replace your single missing tooth is to schedule an appointment with our office for a consultation. Go ahead and get in touch with your dentist in La Plata today! 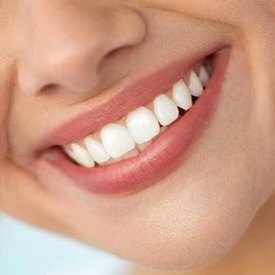 You deserve to enjoy all the benefits of a stable, attractive, and complete smile.